Dear Bob: Replacing an inefficient air conditioner (AC) with a more efficient model could significantly reduce your electric bill. A new AC unit is 20 to 40 percent more efficient than one from the 1990s — and ENERGY STAR-certified systems are even more efficient. Replacing an aging system now before summer starts could help you avoid delays or price premiums. How much money you save by replacing your current AC unit depends on how often your AC runs and your electric rates. If you are in a hot climate and keep your home’s temperature in the low 70s, your cost of cooling will be substantial, and so will the potential savings from replacing your old air conditioner with an efficient new one. The best way to determine possible savings is to have an in-home assessment conducted by a qualified heating, ventilating and air-conditioning (HVAC) professional or a certified energy auditor. Electric co-ops are often interested in reducing peak summer loads and sometimes offer information, rebates or lists of qualified professionals. It’s a plus if the contractor has North American Technician Excellence (NATE) certification. Contractors should be knowledgeable about energy-efficient systems and have good references. Your contractor needs to size the system to your home. Ken Maleski, the residential advisor at Central Electric Cooperative in Pennsylvania, says a unit that is too small will not cool your home to the levels you want. If it is too large, it may not dehumidify your home sufficiently and will cycle on and off more frequently, which can increase wear and tear on the system and significantly shorten its life. In order to size the system, the contractor will need to look at the efficiency of the home by checking insulation levels. If you add insulation where it’s most needed, you may be able to install a smaller AC unit to enjoy greater comfort and lower cooling costs. 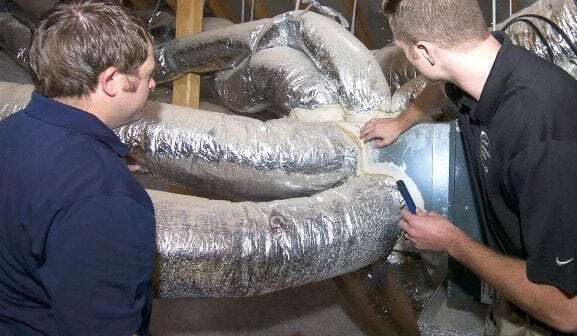 The HVAC contractor you hire should also assess your ductwork, which is often poorly designed, leaky or inadequately insulated. As you talk to your contractor, it’s good to know there are several air-conditioning options suited to different situations. It may or may not be practical to change to a different type of system. Central air conditioning is generally one of two types: split or packaged. A split system, which has the cold coils inside the home and an outside unit exhausting heat, is the most common. Packaged systems, which are sometimes installed because of space constraints, combine these functions into one box located outside the home. A ductless minisplit heat pump can be an efficient way to cool up to four zones inside the home. 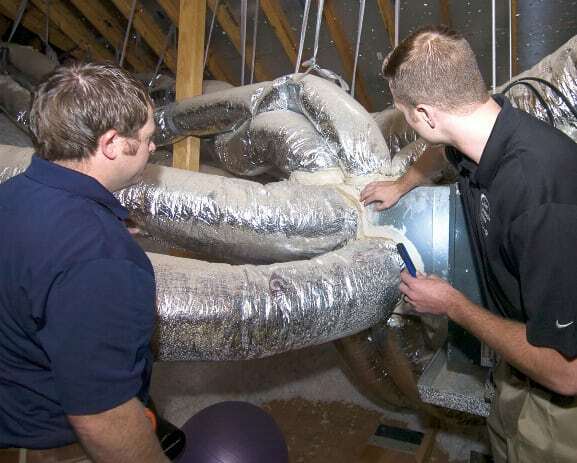 If your existing ductwork is in bad shape or poorly designed, this could be a good solution. Window units are much less efficient than other options, but they can still be effective for cooling single rooms. It’s worth paying a little more for a new ENERGY STAR-compliant unit rather than the dusty $80 unit from the yard sale or auction that wheezes its way through the summer. Replacing an aging air conditioner is a great way to improve comfort, cut energy costs and reduce peak energy demand. Your co-op may be able to help, and you can learn a lot from the information resources available at collaborativeefficiency.com and on the ENERGY STAR and energy.gov websites.